Prof. Abadi performs research on database system architecture and implementation, especially at the intersection with scalable and distributed systems. He is best-known for the development of the storage and query execution engines of the C-Store (column-oriented database) prototype, which was commercialized by Vertica and eventually acquired by Hewlett-Packard and for his HadoopDB research on fault tolerant scalable analytical database systems which was commercialized by Hadapt and acquired by Teradata in 2014. 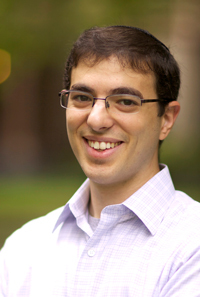 Abadi has been a recipient of a Churchill Scholarship, a NSF CAREER Award, a Sloan Research Fellowship, a VLDB Best Paper Award, a VLDB 10 year Best Paper Award, the 2008 SIGMOD Jim Gray Doctoral Dissertation Award, the 2013-2014 Yale Provost's Teaching Prize, and the 2013 VLDB Early Career Researcher Award. He received his PhD in 2008 from MIT. He blogs at DBMS Musings and tweets at @daniel_abadi.